I enjoy reading about the elites of our sport as much as the next runner. Any time I get to interview one for iRun, I take a few minutes beforehand to remind myself not to fangirl on the phone or beg for a photo if I meet them in person. Be cool, Karen. Be cool. Not surprisingly, it only takes talking for a few minutes before you realize that your hero is just a person – and most of the elites I have spoken to will tell you that our experiences as runners aren’t that different. Sure, they are way faster than I am, but there are so many similarities – the elation of achieving a goal and the heartbreak of missing one; the burning in your legs and your lungs and the desire to eat everything in sight – it’s quite similar. And he’s right. Most of us pay our bills using some other qualifications – and yet we find time to run. In addition, many people have everyday family life as well as the extremes, like sick kids or ailing family members – and yet we run. A lot of us have made commitments to communities, charities, boards, or other groups of people to whom we give our time – and still, we run. Some of us use all of our energy to face down mental illness, cancer, divorce, stress, and countless other personal tragedies. But still, we run. We are the running community – the heart and soul of our sport. We deserve to have our photos and our stories in iRun! 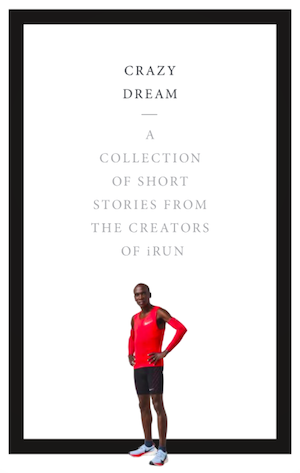 So let’s do it – let’s put our stories and photos in iRun. And since it’s Canada’s 150th birthday, let’s try for 150 stories. All ages, all speeds, from coast to coast to coast. 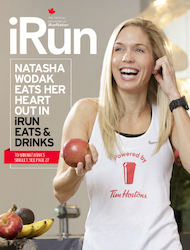 Tell your story in 50-60 words, and send it, along with your age, location, and a photo to me at 150runners@iRun.ca, and you could see it in the next issue!